The International Polo Club (IPC) announces its call for entries to artists, age 18 years and older, to participate in a poster contest. The call is for a digital entry of artwork that depicts the sport of polo. The winning artist will receive a $1,000 cash award. There is no entry fee and artists may submit up to two images for consideration. IPC invites interested artists to submit entries by noon on Wednesday, October 1, 2014, and the winner will be announced on or before Wednesday, October 15, 2014. Artwork must be drawn or painted. Acceptable media are oil, acrylic, oil pastel, soft pastel, water media, and dry media such as pencil, colored pencil, ink, or charcoal. not be accepted for this competition. No digitally enhanced or digitally created artwork will be accepted. Artwork must be original in concept and execution. Each entry must contain a digital image to the provided specifications, an artist biography, and an artist statement specifically regarding the artwork submitted. The final piece of artwork will remain the property of the artist. Artwork submitted in 2014 is not eligible for the 2015 contest. Only digital images are accepted for jurying. Submission file size should be no more than 8MB. The smallest side of the image should measure no less than 4 inches (1200 ppi) and no larger than 8 inches (2400 ppi). Image must be of ARTWORK ONLY. No matting or framing should show in the image. All images must be in JPG format/RGB mode and be the necessary minimum/maximum size at 300 dpi. Images that do not conform to these requirements will be disqualified. Only one image per entry. Artists with multiple entries need to submit each image via separate emails. Name your file: lastnamefirstinitial_titleofartwork (i.e., smithj_poloatipc). All lowercase. Do not put spaces between the words in the title. Any images that do not meet these specifications may be disqualified. No slides, photographs, or prints can be submitted. DIGITAL IMAGES only. The smallest side of the image should measure no less than 8 inches (2400 ppi) and no larger than 16 inches (4800 ppi). The image must be in JPG format/RGB mode and be the necessary minimum/maximum size at 300 dpi. A representative committee from IPC will jury the artwork. By entering the contest, artists release the use of their images to IPC. Additionally, the winning artwork may or may not be used online and in other material. Entries should be submitted via email to 2015PosterContest@venueadv.com. Send a separate email for each entry. Attach the image, artist bio, and artist statement to the email. The bio must be 150 words or less and the artist statement for each image must be 80 words or less. 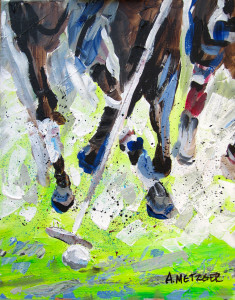 The artist statement for each image should explain how the image relates to the sport of polo. All competing artists will be notified of the winner via email. If you are notified that your artwork is the winning entry, you will have 48 hours to submit your high-resolution image by mailing it on CD, or by FTP upload. Instructions for mailing and the FTP upload process will be given at the time of notification.